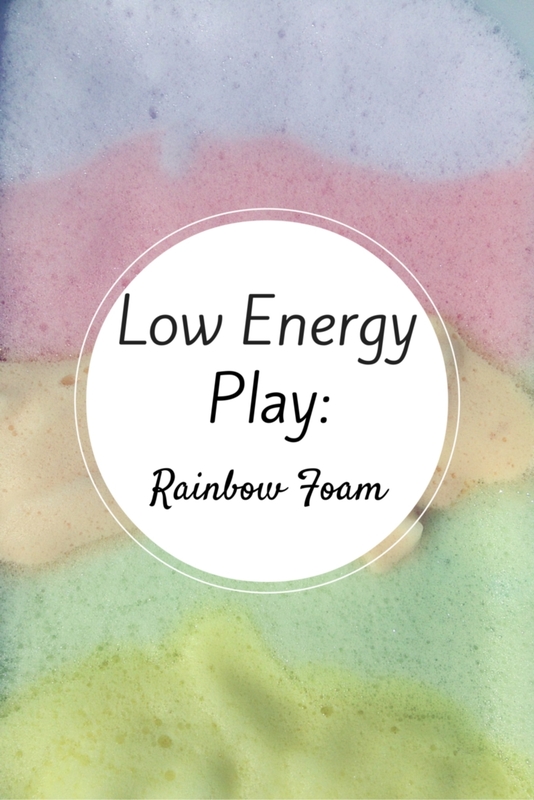 This month's low energy play comes from a pin from Fun At Home With Kids. This one seemed like it be more work than I was looking for, but actually turned out to be pretty simple. All you need is washing up liquid, a whisk (preferably electric) and food colouring. I put two tablespoons of washing up liquid into a bowl and then added a splash of water and a couple of drops of food colouring. Then I set the electric whisk on the fastest setting and kept it going until the bowl was full of bubbly foam. It needed two or three minutes and it took me a couple attempts to get a proper foam - it needs to form peaks that hold on their own, a bit like a meringue. I poured each colour foam into a tray and then set it outside for Little J to have a go. As we don't do much messy play anymore he was a bit cautious at getting stuck in, I think if Miss H had been around he would have been more confident so it will be one to try again with both of them. Eventually though, he started to dip his fingers in and then his hands and eventually his feet. He loved it when I brought out his new car toys and a jug of water, so he could give them a rainbow bath and clean them off. 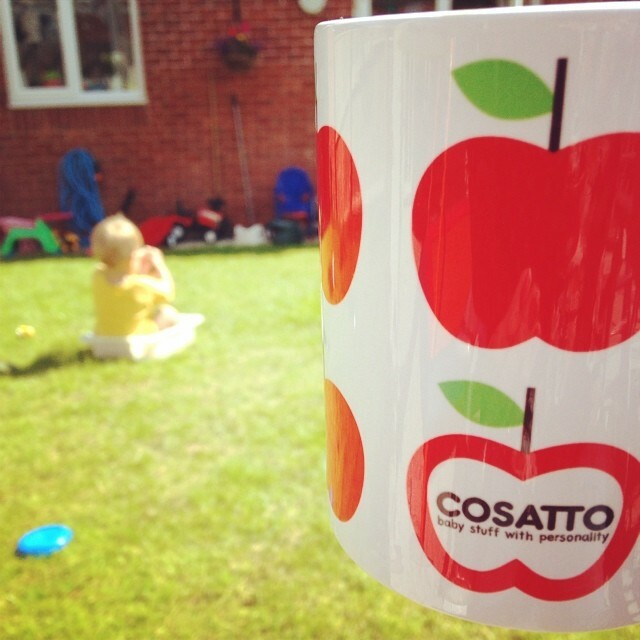 I even got chance to sit and have a cup of tea whilst he played, which is the measure of a good play session for me! Next time I would use even more washing up liquid to create lots more bubbles for even more bubbly fun!